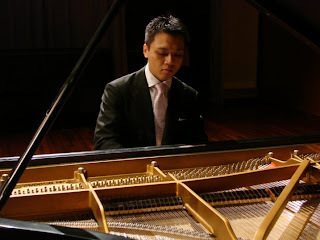 Ernest So (蘇顯亮) - Pianist and mastermind behind PerformNow, Ernest So has long established himself as a young scholar and a concert pianist, appearing in United States, Asia and Europe. Upon graduating from theJuilliard School studying with renowned Beethoven scholar Jacob Lateiner, Mr. So first established Aterlier des Artist inNew York and later PerformNow in Hong Kong. Commanding a wide range of repertoire, Mr. So is an advocate for reviving little-known composers and their music as well as innovative concert programming. Mr. So is also known for his discriminating taste in sartorial arts and various collecting habits.